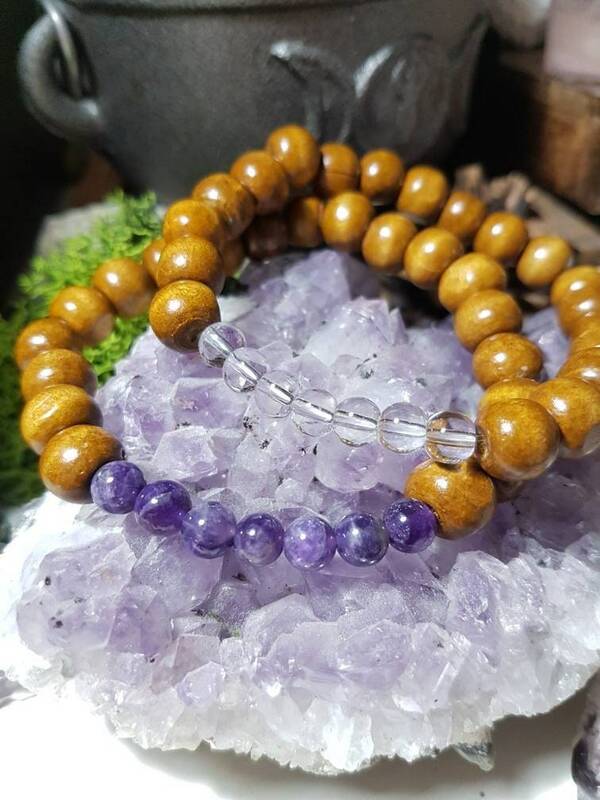 Brown wooden beaded bracelet on clear stretchy cord with high quality Amethyst or Quartz beads. 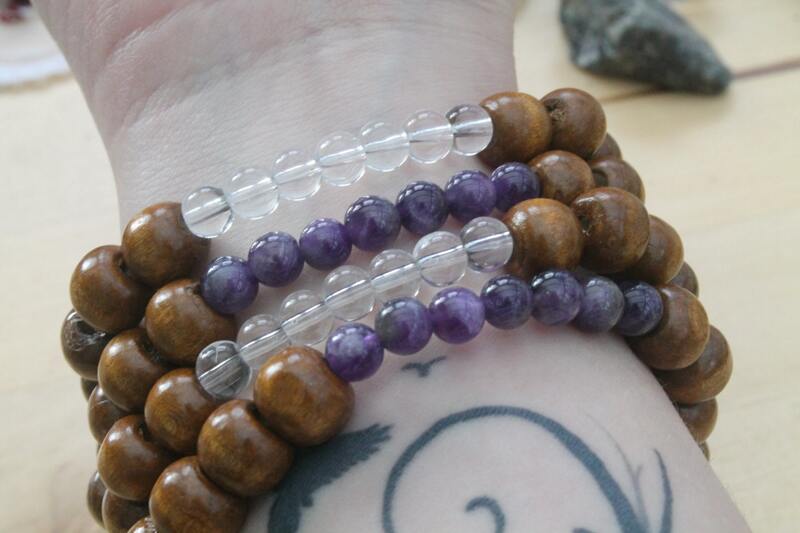 Amethyst is great for protection and calm and Quartz is a wonderful all-round healer. 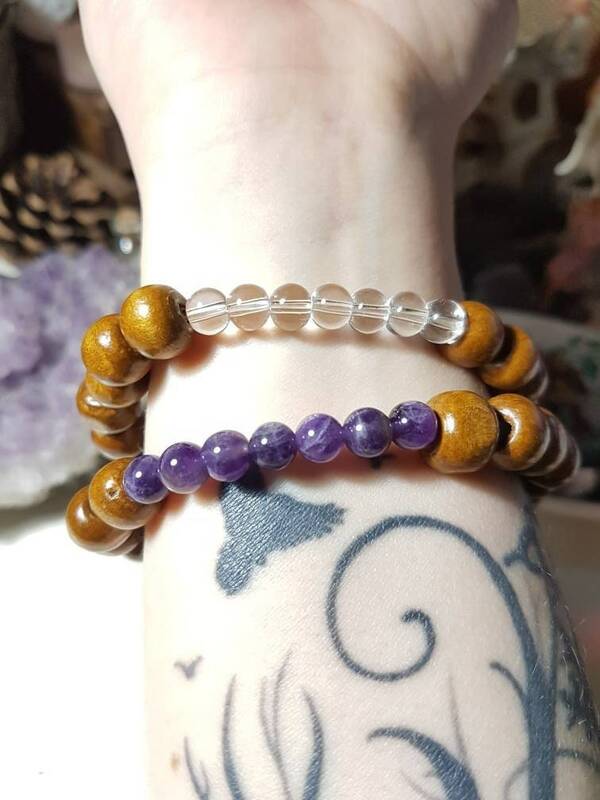 Bracelet measures approx. 21cm in length. 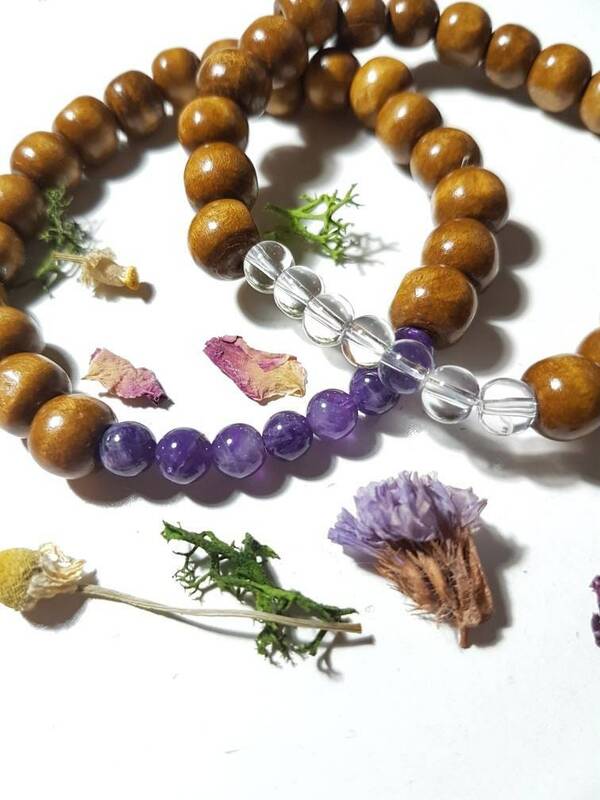 Bracelet comes wrapped in tissue paper, with details of properties of the crystal, a cleansing dhoop stick and an organza gift bag.